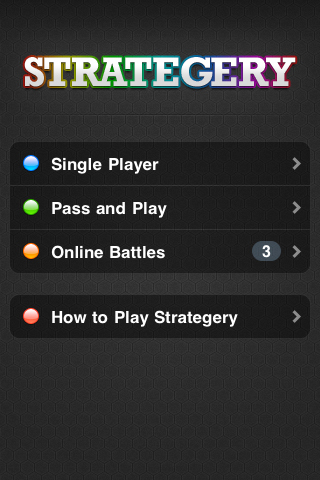 "Strategery offers depth that can—and will—claim hours of your time"
Strategery is based on classic turn-based strategy board games without all the boring parts. You can quickly knock out a couple moves while waiting in line or settle in at home (or at work) for hours of fun. The consensus is in: the game is addictive and doesn't get old. Compete with up to 5 players sharing a device ("pass and play") or play online with individual friends—or foes. Push notifications allow you to keep as many online battles going as you can handle, and you'll never run out of challengers with random matchmaking. Every map is randomly generated, so no two games are alike. 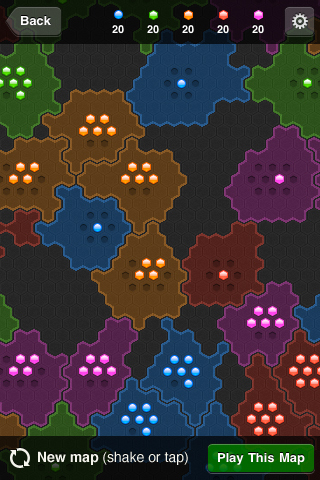 There are tons of options to keep things interesting, such as difficulty levels from "Easy" to "Brutal," map sizes from "Small" to "Epic," and a variety of game modes that can completely change your strategy. 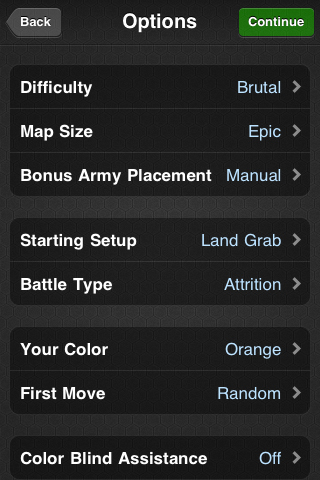 Although it was originally designed for the iPhone and iPod Touch, Strategery really shines on the iPad—play a game on an "Epic" sized map without any scrolling or zooming! 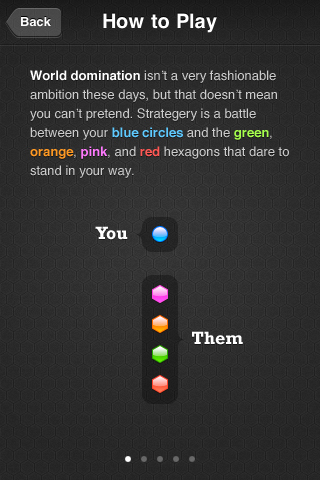 And with Retina graphics, colored dots never looked so good.